I can't tell you how many times that I've looked through my plentiful wardrobe and thought to myself, "I have nothing to wear." Honestly, this is a daily struggle. I'm always looking for new clothes because I feel like I have nothing to wear. However, that's not the case. Recently, I've been trying to make the most of my wardrobe and today I'm going to share what I've found really helps me stretch my wardrobe to the fullest. Wear something that you haven't worn in a while. A shirt that you haven't worn for 3 years? Guess what? When you wear it, everyone will think that it's new. The other day I wore a shirt that I hadn't worn for at least 3 or 4 years and I got so many compliments. Sure, your fashion taste may have varied a little, but you can always take something old and restyle it to fit your new current fashion taste. Put a new perspective on something that maybe wasn't your favorite piece and make it your new favorite. Feeling tired of the same old clothes? Swap some clothes with a sibling or a friend for a bit of a refresh. You can pick a few pieces of clothing that you don't wear too often and switch them with some clothes that your friend or sibling doesn't wear too often. My sister gave me a sweater that she doesn't really wear that often and I wore it yesterday, earning me so many compliments. Apparently I "look good in green" and a lot of people noticed that I had changed it up a bit. Get rid of clothes that you don't wear. I have so many clothes that I don't even wear anymore, but when I get to the thought of getting rid of them, my immediate thought is that I might wear it someday. Except the thing is, I never end up wearing it. 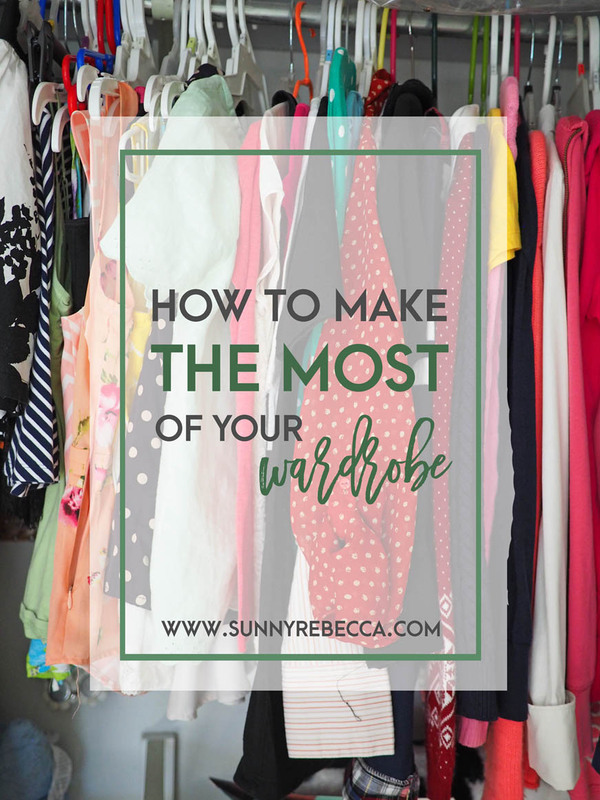 Get rid of the clothes that you don't actually wear so that you can make way for new ones. I generally donate my clothes, but you can sell them if you need some extra cash for new ones. I don't know about you, but I generally have some go-to outfit combinations that I always wear. For example, I'll wear the exact same outfit, from the sweater to the jeans to the shoes, every week and I'll continue to repeat the same outfit. Change it up a bit! Pair your favorite top with a skirt for a change or maybe put a sweater over a flannel for a new perspective on the same old things. Style a plain t-shirt with some pants with a bold print on them or style a plain sweater with a glamorous statement necklace. Basics can go a lot farther than you think. Pull out the basics and make them look anything but basic with some accent pieces or allowing you to pull out bold prints to pair with them. This is a great way to style pieces that don't match with things as easily, like if they have distracting patterns or bright colors.